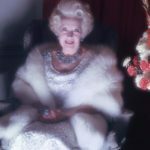 Barbara Cartland was an English author of romance novels, one of the best-selling authors as well as one of the most prolific and commercially successful worldwide of the twentieth century. Her 723 novels were translated into 38 languages and she continues to be referenced in the Guinness World Records for the most novels published in a single year in 1976. As Barbara Cartland she is known for her numerous romantic novels but she also wrote under her married name of Barbara McCorquodale and briefly under the pseudonym of Marcus Belfry. "A woman asking “Am I good? Am I satisfied?” is extremely selfish. The less women fuss about themselves, the less they talk to other women, the more they try to please their husbands, the happier the marriage is going to be." "The right diet directs sexual energy into the parts that matter."